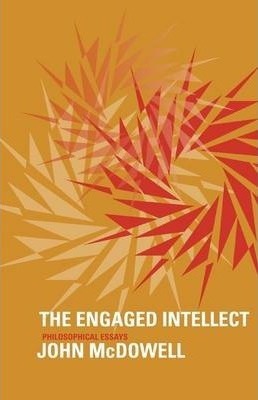 The Engaged Intellect collects important essays of John McDowell. Each involves a sustained engagement with the views of an important philosopher and is characterized by a modesty that is partly temperamental and partly methodological. It is typical of McDowell to represent his own best insights either as already to be found in the writings of his heroes (Aristotle, Wittgenstein, Gadamer, and Sellars) or as inevitably emerging from a charitable modification of the views of those (such as Anscombe, Sellars, Davidson, Evans, Rorty, Dreyfus, and Brandom) subjected here to criticism. McDowell therefore develops his own philosophical picture in these pages through a method of indirection. The method is one of intervening in a philosophical dialectic at a characteristic juncture--in which it is difficult to avoid the feeling that further progress is required. McDowell shows how progress is to be achieved by preserving what is most attractive in the views of those he is in conversation with, while whittling away their weaknesses. As he practices this method, what emerges through the volume is the unity of McDowell's own views. The combination of philosophical breadth with dialectical depth--of intricate argumentative detail with overall philosophical coherence--marks McDowell as one of the most compelling philosophers of our time.